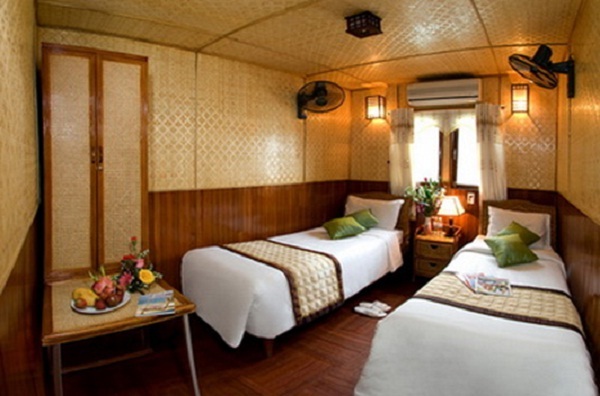 Huong Hai Junk is the brand name of a group of 3 star traditional wooden cruises with the number of cabin varies from 5 to 9, which is suitable for a small group who enjoy the private and peaceful moment in Halong Bay, Vietnam. 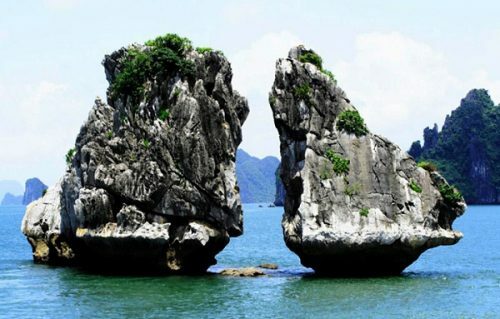 Travel around the bay with Halong bay junks, you will have chance to see and experience the greatest moment of natural here when you with colorful subset, the majestic of stone mountains with cave inside, the simplicity beautiful of sea life here. The experienced chefs provide a varied selection of Vietnamese and International cuisine including fresh local seafood, all carefully prepared and presented. 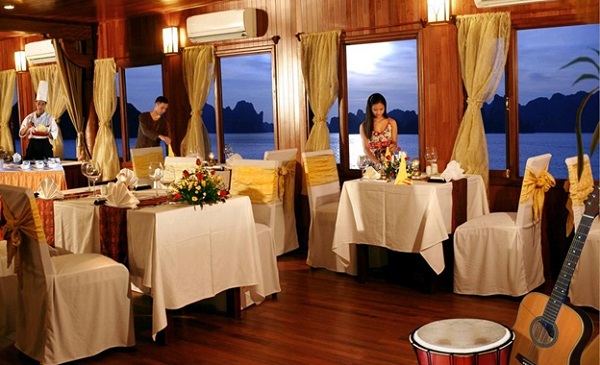 Huong Hai junk could bring to you a wonderful night in Halong bay with luxury and antique accommodations with perfect services proved by the crew. 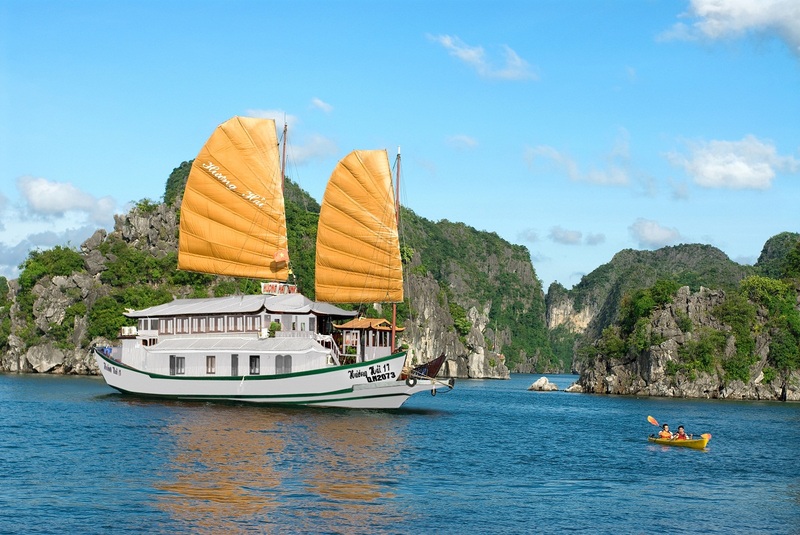 Spending time on the junk, you’ll not only savor a unique feeling in a world of wonder but also enjoy several of such interesting activities as: watching Vietnamese folk music performance, going fishing on the bay at night, kayaking, and learning Vietnamese cuisine. 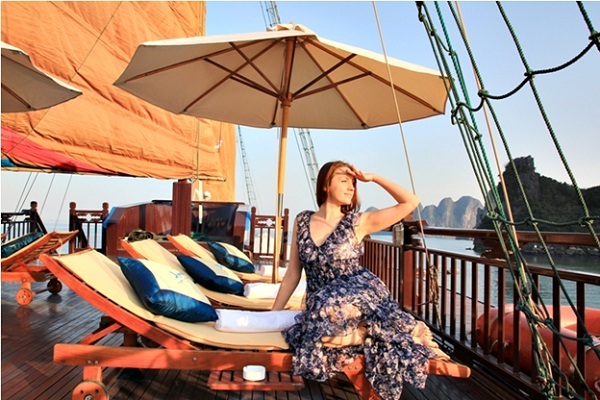 Tourists should stretch and relax on the spacious rooftop sundecks on Huong Hai junk. The comfortable lounging furniture is perfect for sipping a glass of wine or reading a book, chatting with friends you’ve made on board or taking a nap, sunning or counting the stars.